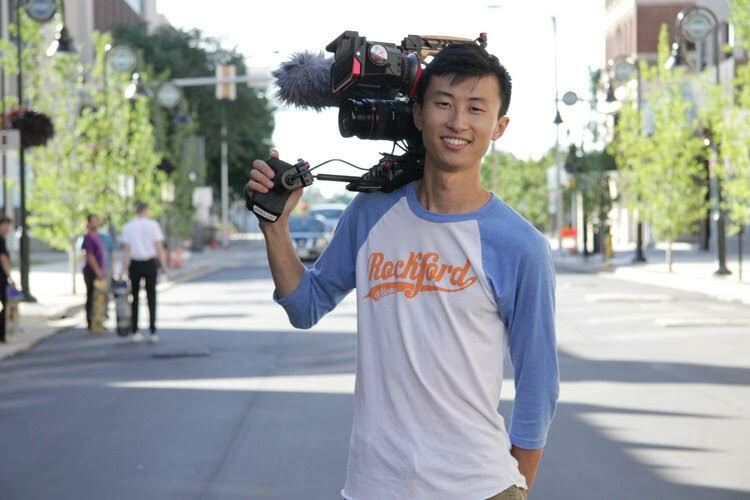 Chicago-based director and cinematographer Bing Liu never imagined that he would be where he is today. He grew up shooting skateboarding videos, and is now screening his debut feature documentary, Minding the Gap (CAAMFest 2018 Best Documentary Award) in theaters and on Hulu August 17, 2018. CAAM will be co-presenting the film on the new season of POV on PBS on February 18, 2019. Catch it on your local PBS station (check local listings). 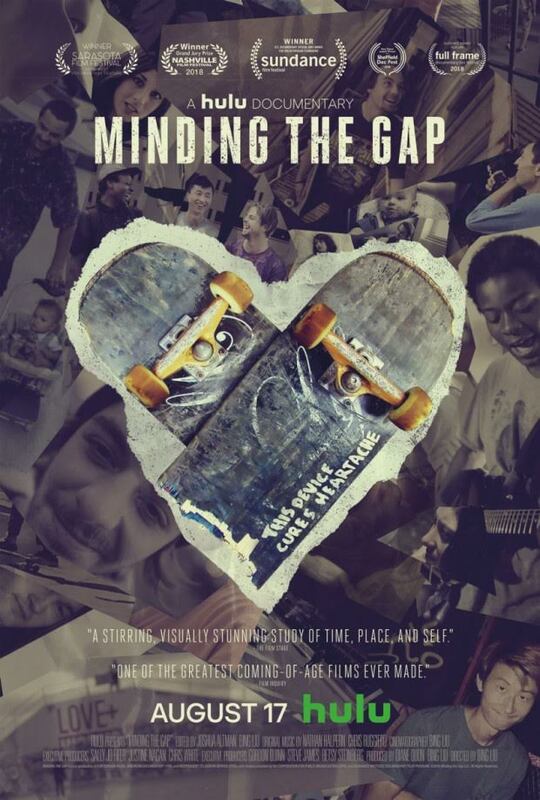 Minding the Gap, a Sundance award-winning film, is a cinematically beautiful documentary exploring the complex lives and relationships of skateboarder-friends from his hometown of Rockford, Illinois. 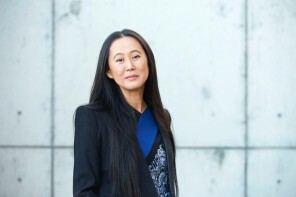 The film is produced by Diane Moy Quon and executive produced by a team from Kartemquin Films: Gordon Quinn, Steve James, and Betsy Steinberg. 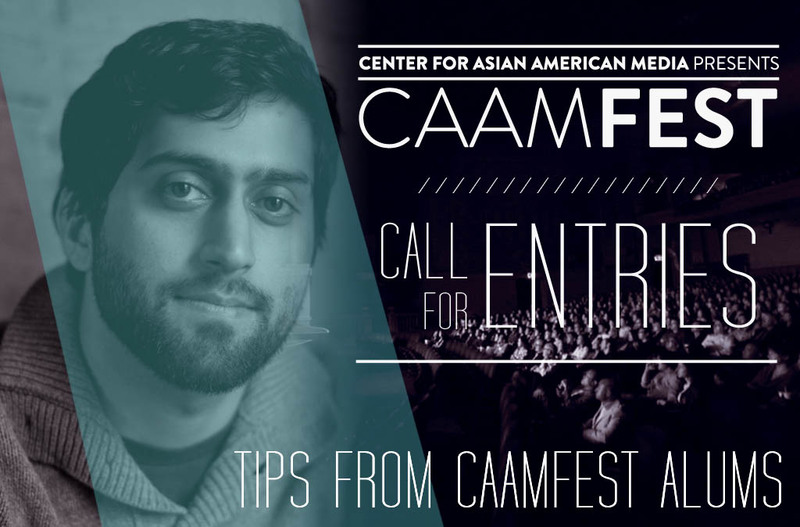 In this Q&A, Liu shares the journey of making this film, his creative process, and the commitment to explore difficult issues such as race, masculinity, and domestic, and child abuse. Through a raw, unfiltered, and non-judgemental len, his film positively transforms lives across societal divides. Can you talk about the evolution of your film? What did you originally set out to do and what you ended up with? In my mid-twenties, I wanted to make a film about skateboarders’ relationships with their families, their fathers, and their emotional selves. I set out to go cast around the country interviewing skateboarders from various demographics. On my trip to Rockford, I met Keire, fell in love his story and his emotional presence. Shortly after that I found out that Zack, who I’ve known a little better because we’re closer in age growing up, was about to become father. Then I just started tracking their stories. The themes of masculinity, domestic abuse, single parenthood, how did they come up? What was it like to pursue them in your film? They’re an extension of things that I’ve been curious in exploring both in conversation and in my writing and other short film projects I’ve been doing growing up. These family situations such as single parents and step-parents were complex situation for a lot of the young people in my community growing up. In terms of masculinity, I don’t think it was like, “now we’re going to talk about masculinity in this interview.” It was sort of just underneath there. I was in an artsier crowd growing up, so there was sort of gender-fluidity that allowed me to expand what young men could be and find our identity outside of male scripts that we are taught in school or in society. There are scenes where around Keire’s friends make Black jokes that make him uncomfortable. Why did you decide to include that? Did you share any similar experience growing up Asian American in the Midwest? That’s the reason why I initially wanted to even interview Keire. When I came back to Rockford to make the film, I was like who is this African American kid in this group of white friends. So, I was like, “Can I interview you?” And he was like, “sure.” So we went somewhere secluded and talked about a lot of things: his parents, his childhood. One of our first interviews was in their attic where we commiserate about crying and getting beaten. You get a sense of Keire never really having talked about a lot of things that has to do with his identity and how he feels emotionally. He has a love for his father, but also anger that hadn’t been resolved at the time. He felt like he had the same unresolved feeling with his African American identity. He would start an anecdote about how something made him feel uncomfortable, but he would cut himself off. He sort of brushed to the side. I saw a lot of my own childhood in [that], a lot of my own adolescence in it. In the course of the film and in real life, he finds a way to identifies as being African American that matters a lot. I feel like I went through something similar. I tried to sort of blot out my Asian identity and really try to acculturate myself to being American. Because I think when I moved to America, I had to do that in order to assimilate. It’s weird to do all of this work with all this pressure you’re not conscious of when you’re a kid to assimilate and fit in. But as you get older, you realize what did I lose in doing that? And you try to feel around, search for parts of the past, in the corners of your experiences to get a sense of that back. I think eventually you land on something new, which is you’re neither Asian fully nor American fully. You’re Asian American. What was your creative process of putting your film together? You’re alway trying to find new and more interesting ways to film skateboarding. You know I started out emulating what professional skate videographers were doing. Rolling on a board with a fisheye low to the ground and then I started watching more artsy skate videos. I started using long lens, while rolling on a board. I was building my own little dollies as a teenager. When I was in my twenties, I started working with steadicam operators. I came to see that as a really powerful tool because it’s all about analog human movement. Because actors never really hit their marks, the steadicam operators are always one with their rig, adjusting in micro levels. That’s so intuitive and it’s almost like dancing, which to me is what skateboarding is always like. I thought if I can harness that as a tool for skateboard that would be great. I couldn’t afford a steadicam rig, so I got a glidecam rig instead which is the same physics. It’s a gimbal that uses gravity to stabilize and attaches to the weight of your body. So, I just got a rig and started practicing. After a year, I got really intuitive with it to where I didn’t have to think about how to move the rig, but more about how the skaters move. Most of it, I was running along side, behind them, through them, around them. For sequences where they skate across the bridge, I would get on a board with soft wheels. It was actually scarier on a board than running. Is this where you imagine yourself to be today? You know from, as a kid making skateboarding videos to this current film. Not really. Growing up in Rockford, the film industry capital seem like such a remote thing. Like this possibility in the sky that was unattainable. But I love making films. A friend when I was a teen inspired me to start making my own films. The horizon just kept expanding. I got a job when I was 19 as a production assistant. It was cool getting paid $50 a day to fetch coffee and carry camera cases. It was less about the $50 and more about the fact that this real. A few years later, I joined the camera union. All of a sudden I am working on sets where they are making fun of my tennis shoes. Everything became both weird and real. This is an extension of that. Like, oh you have a film that won at Sundance? And people actually like it? How are the subjects in your film doing, since you finished production? Someone liked Zack’s charisma so much that they wanted to cast him for a movie, so they reached out to me and I was like sure, let me check with Zack. The director drove all the the to Rockford just to interview him. Zack ended up beating out all of these professional actors to get the lead role. Zack is playing this head of the household father who is having a lot of issues with his family. It’s nice to express emotions in the confines of this character and I think it’s actually kind of therapeutic for him. The director is like, “he is killing it.” He’s doing a good job. Keire is working at an upscale salad place in Denver. And still skating. He’s young and still trying to figure stuff out. Nina works a lot. She hasn’t been able to go back to school like she had wanted because of the demands of being a single mom. My mom is doing fine. She’s finally sold that house with all those terrible memories in it. So, I’m psyched about that. I haven’t talked to my little brother in a while. He’s Keire age, so I think he’s going through some things right now too. What’s next? What are you currently working on? What should we be expecting to see from you? I’m currently working on a documentary that has been in development for a year. We started filming it a few months ago. It’s about the way that memory is accessed and how difficult it is both personally and historically through community, especially when it is buried beneath trauma as it pertains to young men who experience gun violence in Chicago. That should be wrapping up some time next year. 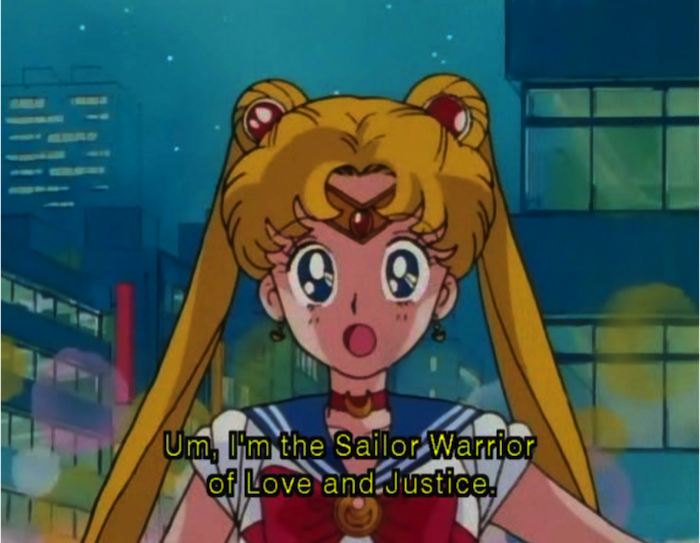 And then I plan to film Into Fiction, a story about how intimacy is very difficult to obtain in this day and age.